Victoria and Brad's wedding day had so many lovely elements I don't know where to start. From the design, the venue, but mostly the couple and their love for each other. Although Karen (our remarkable designer) would be the best one to talk you through design, I can tell you that it was FERN everything! 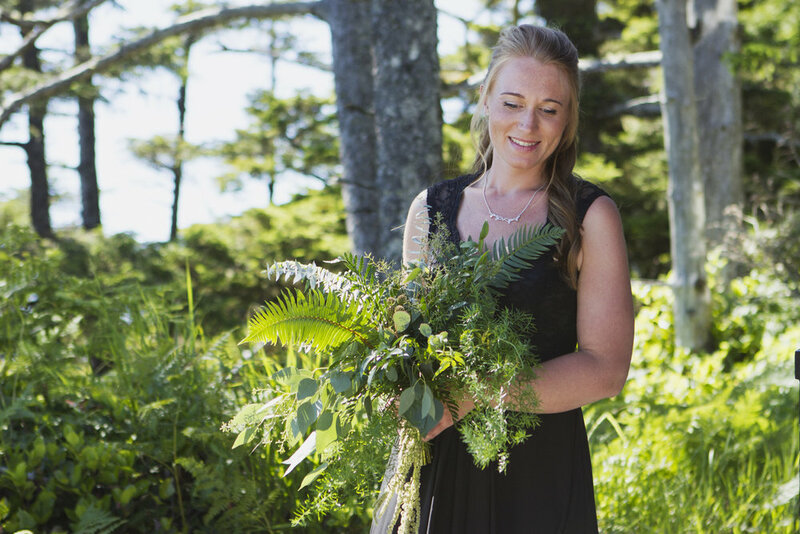 The couple who loved Tofino and had their hearts set on a beautiful location with excellent service found exactly that at the Black Rock Resort. Karen’s famous arch was the master piece that would add to the beautiful scenery. She even trusted me to all her work that pre-bundled and pre-tied and laid carefully in the back of my mini van. 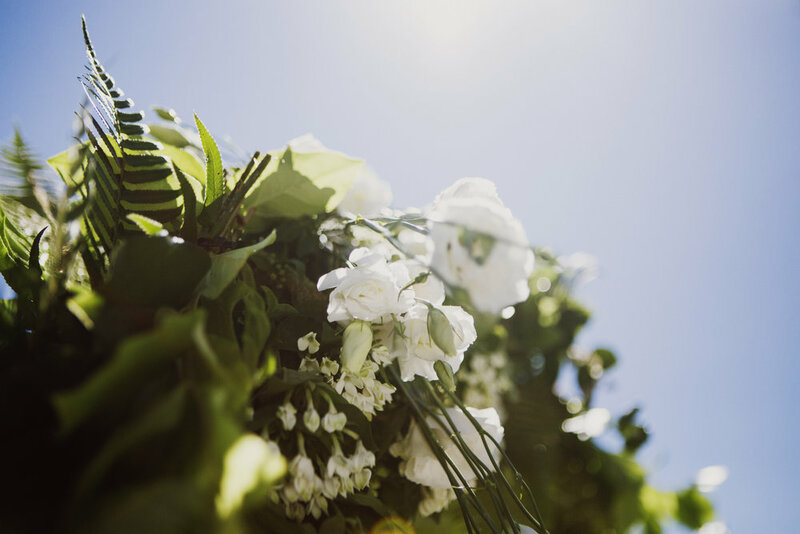 We worked with Compass florals for some touches of white flowers, driftwood centrepieces and the biggest and loveliest fern bouquets for the bride and bridesmaids. What made this day so remarkable was The Scottish pride and the family tartan! 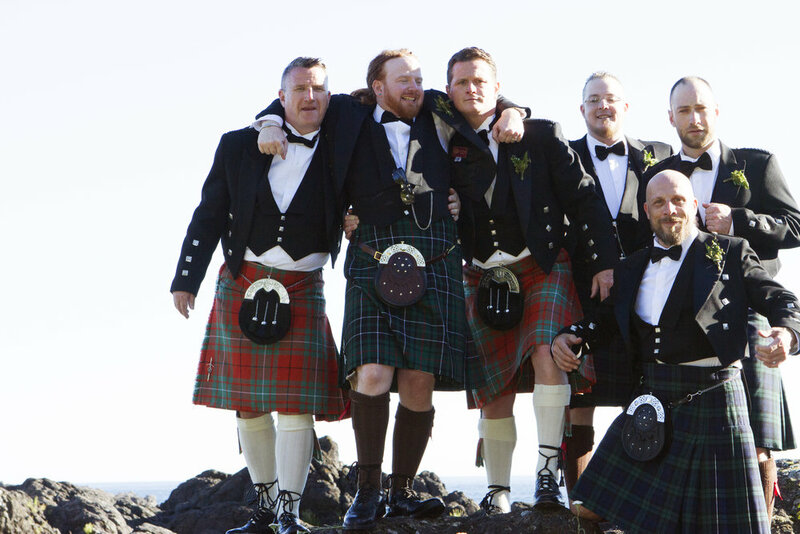 The tartan was in the bridal jacket, flower girl sash (their daughter), ring bearer vest, (their son) ribbons hanging from chairs and kilts, of course in their family tartan. The whole wedding was just lovely, simple, west coast, very Scottish and dedicated to family. This amazing couple made sure they made dedications to the ones they had lost, valued everyone’s taste in music and food. The bride even made the wedding cake (vegan) and favours from her grandmother's recipe. It was the perfect way to honour her grandmother and keep the tradition. I got to know these two very well, and I admired their values, self-care, and love for their whole family. The family was, in fact, a big part of the planning process and it all came together just the way they envisioned.